This is a list of my top 10 Disney characters. This was so hard. I wish I could choose at least 10 more! 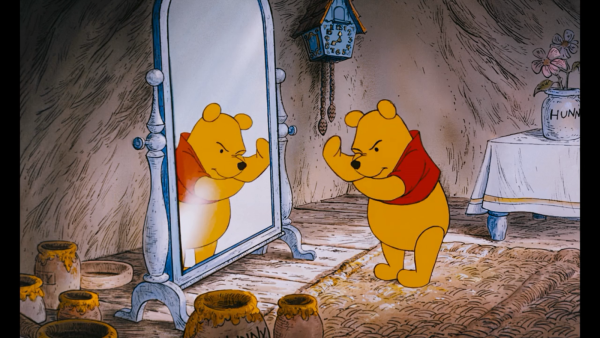 Winnie-the-Pooh is by far my favorite Disney character. Dug comes up second, but Winnie is hard to beat! 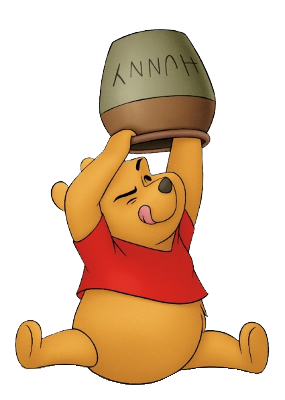 1) Winnie-the-Pooh– Winnie-the-Pooh embodies the innocence and kindness I wish was in the world more. He seems quintessential Disney to me. No character puts a smile on my face more! 2)Dug– Dug again has a lovable quotient that is almost up there with Pooh Bear. He puts a smile on my face just looking at him. 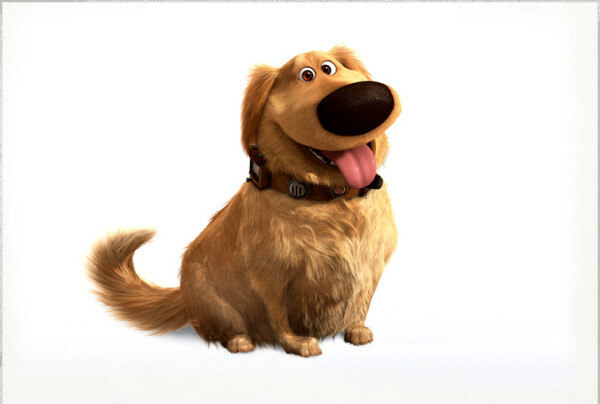 I want a golden retriever so that makes him even cuter. I loved UP, and Dug was a big part of that. Squirrel! 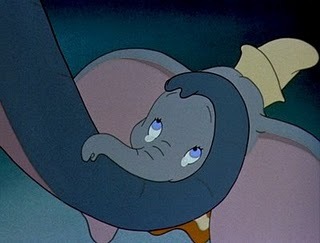 3)Dumbo– I guess this is a recurring theme, but his sweetness and innocence are so lovable. His big, blue eyes that just want him momma’s love! I cry when I hear “Baby of Mine” every time. 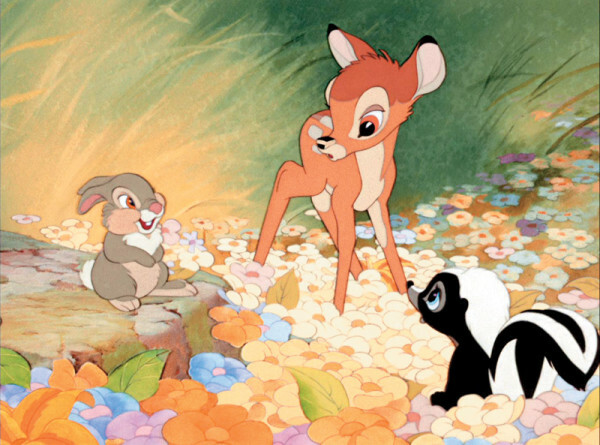 4)Bambi– Bambi and Thumper were close, but Bambi was the name of the movie and the poor little guy lost his momma. I love him. 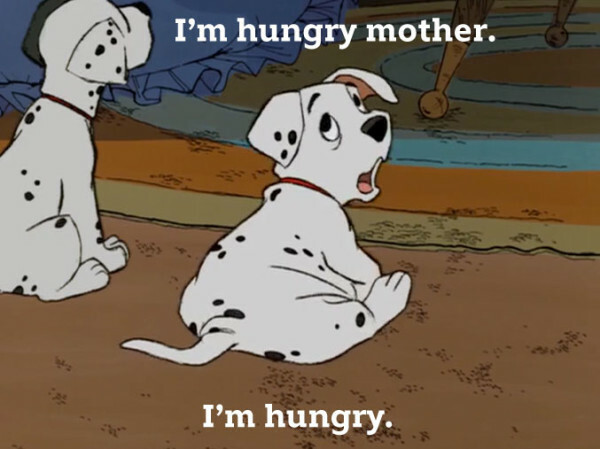 5)Roly (from 101 Dalmatians)– Roly and Lucky were close, but Roly is so cute and is always hungry. 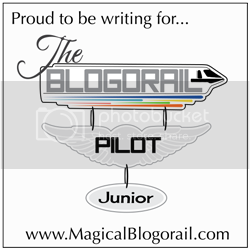 He again just is adorable and is my son’s pseudonym on the blog. I have always loved the puppies. 6)Sully– Sully is so endearing to me. He kept that wood chip on that paper and when his friend Mike put the door back together and he put that one sliver of wood and he was able to open the door to Boo, I lost it. He is just a good guy that seemed like he would be scary at first but was won over by a sweet little girl. Sully with Boo. 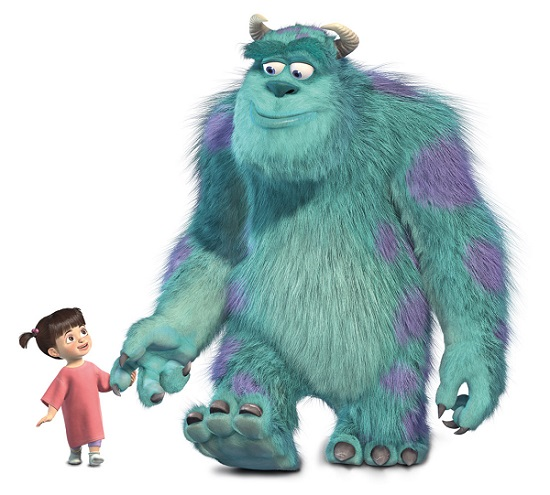 Sully is my 6th favorite Disney character from the movie Monsters, Inc.
7)Russell (from UP)– Russell is a sweet boy that just wants love. When he said it is the boring things that you remember the most (when referring to eating ice cream on the curb with his often-absent father) he endeared himself to me forever. Dug and Russell. 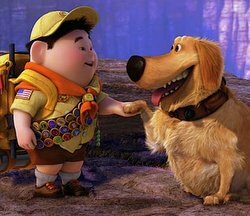 Russell is my 7th favorite Disney character from the Disney movie UP. 8)Piglet- Pooh Bear’s timid and sweet friend has always been a favorite. 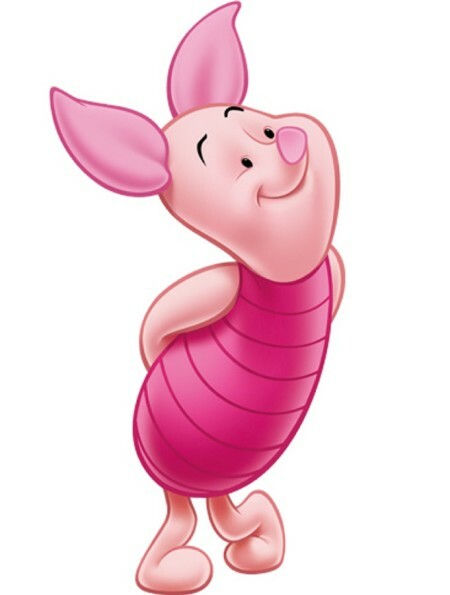 Piglet; my 8th favorite Disney character is Winnie the Pooh’s best friend. 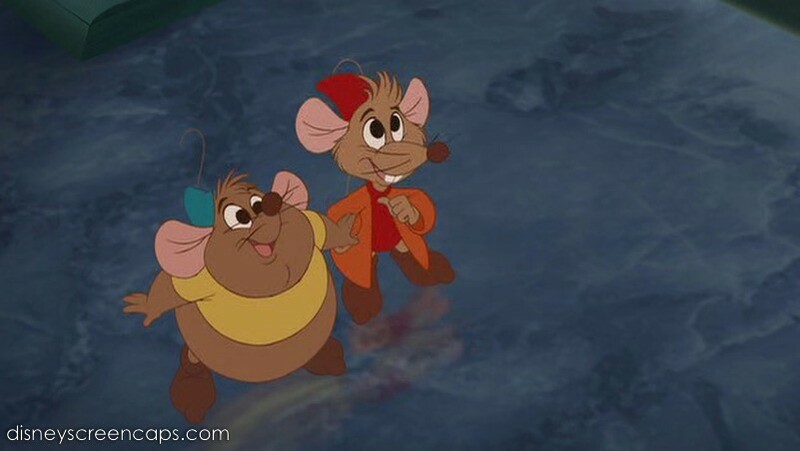 9)Gus-Gus (from Cinderella)– I chose Gus since he was an outsider and he was being chased by the evil Lucifer. He is so cute; though Jaq is too. Jaque and Gus, my ninth favorite of the Disney character from the movie Cinderella. 10)Jiminy Crickett- I love his singing in “When You Wish Upon a Star” and “Give a Little Whistle”. I love the idea that he is trying to keep Pinocchio from doing wrong. He was so proud when he got his badge at the end he endeared himself to me. I love hearing him talking during “Wishes” at the Magic Kingdom. 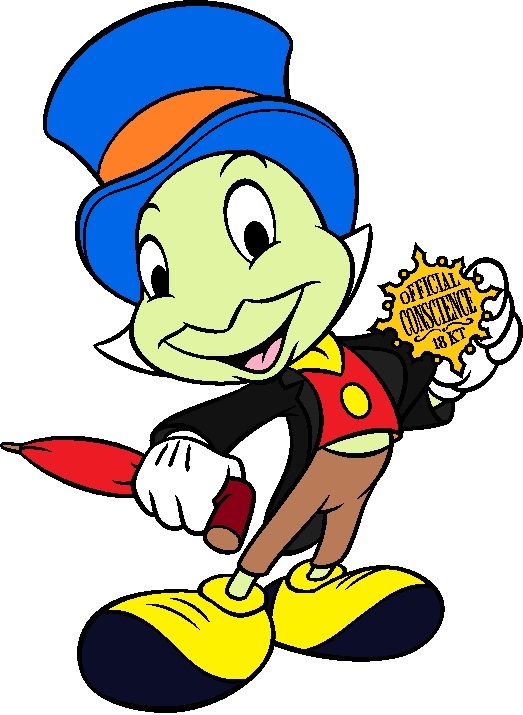 Jiminy Cricket, my tenth favorite Disney character from the movie Pinocchio. I really do too. I wrote more and amended the first list with more descriptions as to why I chose them! I was so hard! I was second guessing the whole time! Gotta love Winnie the Pooh! He’s definitely my fave! When we come to the U.K. we are going to visit Ashdown Forest and Poohsticks Bridge just because of our love for him! A great group of warm and lovable characters.